(Arr: Hoyle Nix) (No Publisher Noted) PD. 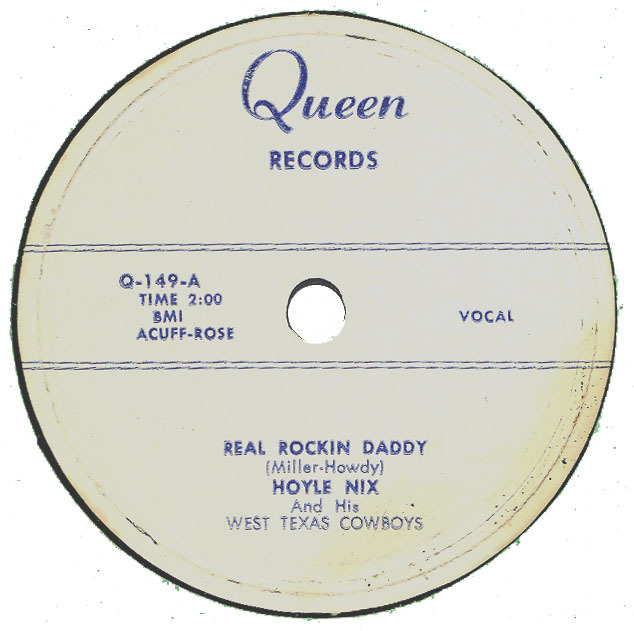 Note: Label credits for QUEEN 149 differ. 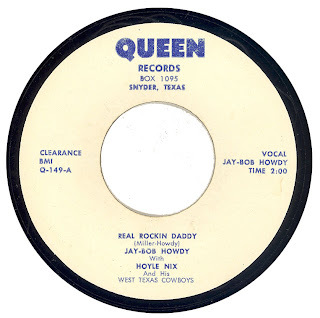 The first entry above, the one credited to Jay-Bob Howdy / Deonne Dome, was taken from a 45rpm copy of the record. 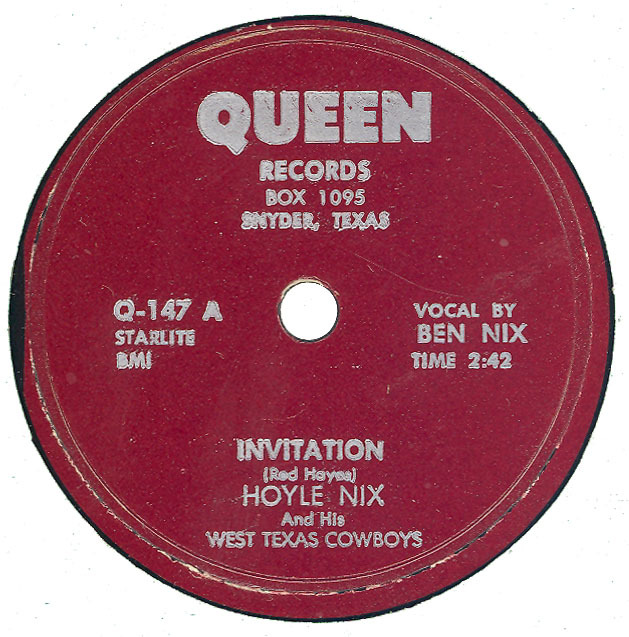 The second entry above, the one just credited to Hoyle Nix, was taken from a 78rpm record. Jay-Bob Howdy incidentally is Wink Lewis. 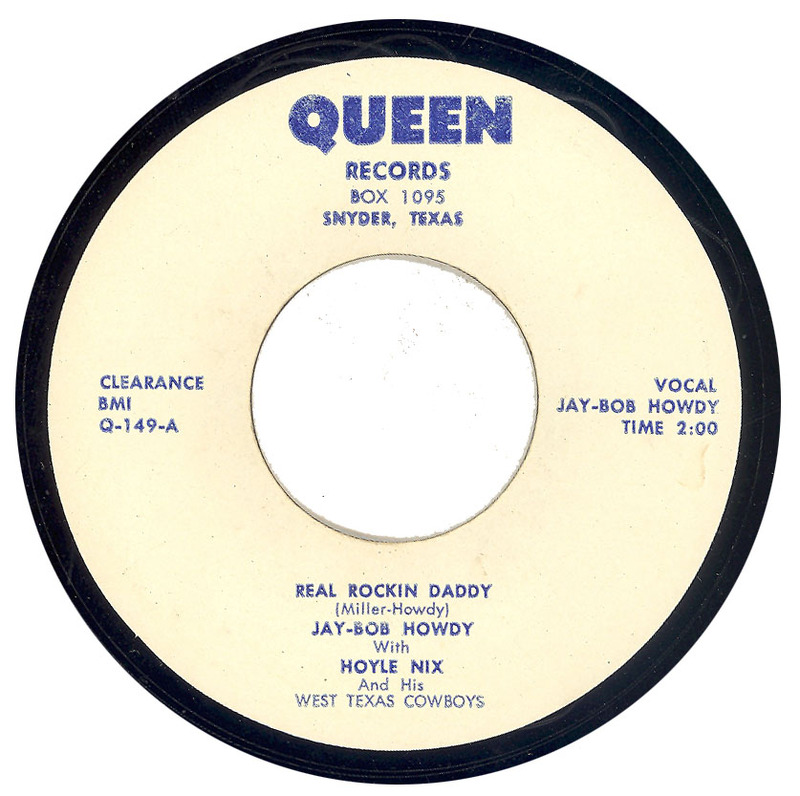 Note: QUEEN 156 was assigned to a release by A. B. (Buddy) Pruitt, but it is unknown if this record was actually issued. 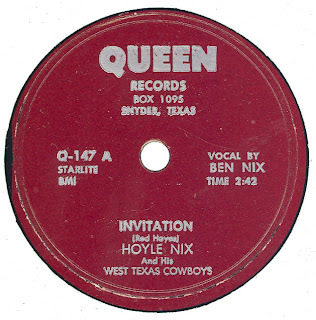 The Queen label was actually owned by Wink Lewis, who was working in Snyder at KSNY in 1955. 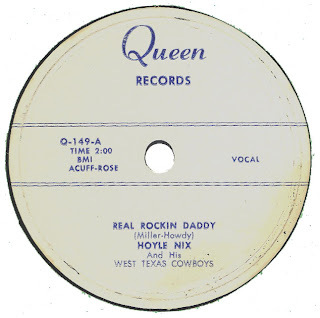 During this time, he ran Queen Records along with Hoyle Nix. Hi. LOW BALL BLUES won't link to mp3. Just checked it my end and it plays okay here. If it is still a problem for you please let me know and I'll reload the file. 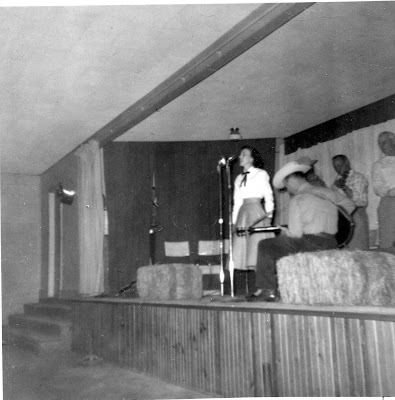 could you please post "another you" by deonne dome with hoyle nix and the texas cowboys? she is my mother. we cannot find her .45 anywhere, and she is now 82 and would get a real kick out of having her song on the internet. her real name is evelyn bradford balis and lives in central west texas.